Wilbur may be the runt of the litter, but he’s a rambunctious, lively, and lovable little guy who captures Fern Arable’s heart. When Wilbur and Fern learn of his eventual fate, it’s up to the wise and kind-hearted spider Charlotte to hatch a plan to save this “radiant” pig. Bring your best friend and relive the warmth, charm, and magic of E.B. 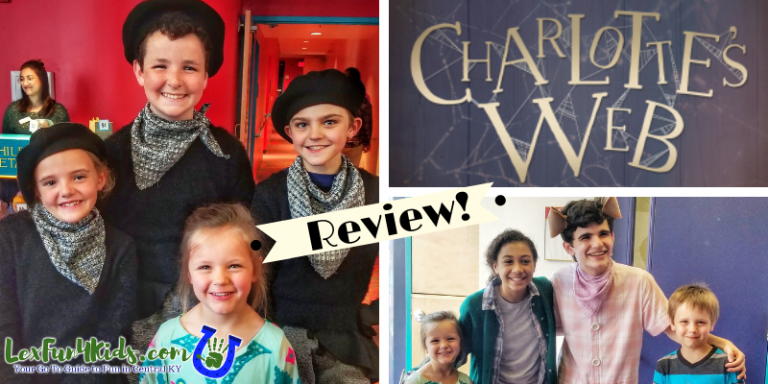 White’s beloved classic, Charlotte’s Web! Growing up, Charlotte’s Web was a favorite of mine, and I knew the story well. Our kids’ ages 7 and 5 were somewhat familiar with the story. Wilbur, (played by David Hensley in our production) starts the play out as the clever yet doomed pig. Right as he is about to be on the chopping block Fern (Aubrey Slone Grundy) steps in to save him. The actors were fantastic at capturing the personalities of the animals that those of us who grew up watching the movie are so familiar with. If you are like me, you might be worried the death of Charlotte will be upsetting, but there is no need to worry. It’s handled beautifully as Charlotte quietly disappears off the stage. My son knew the story and expected her death while my daughter did not know to expect it. Neither of my kids (nor any of the others I saw at the play) was overly upset. The message of friendship had a lasting impact. My kids had questions about why Charlotte was so lovely to Wilbur or why Fern stepped up to save him. It opened up some great dialogue on the drive home (and after!) about what it means to be a friend. We loved all the characters! 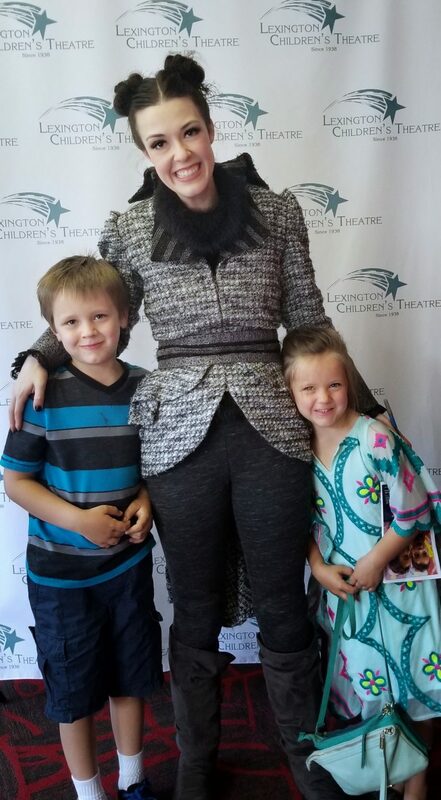 The Goose (Paige Hensley) and Templeton (Jonathan Harper) were great, but the show stoppers were the three kids who played the baby goslings and baby spiders. My daughter loved them so much she insisted on meeting them and getting their autographs! If you are looking for a family-friendly afternoon (especially with the rain this weekend), this is a great play to see! 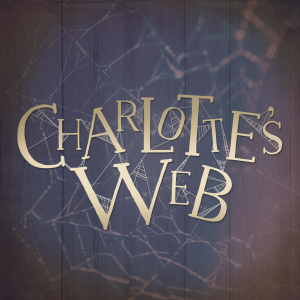 Charlotte (Emily Asbury) was graceful, friendly and her web was very clever! This was such a great family date! We laughed and cheered and left feeling inspired to be a friend like Charlotte.